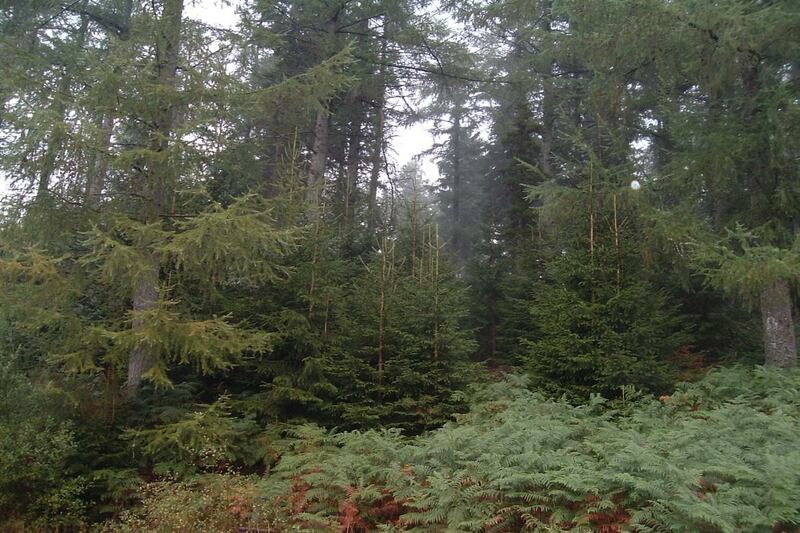 Situated in the north east of Wales straddling the counties of Conwy and Denbighshire, Clocaenog Forest covers 5500 hectares and comprises a mix of conifer species including Larch, Norway and Sitka Spruce and Pine. Planted in the 1930’s, it wasn’t until 1950 that red squirrels (Sciurus vulgaris) started making use of the food that the maturing trees started to offer. The forest, now with large areas of mature trees, offers a rich mosaic of food sources that occur year round which is a huge benefit to red squirrels. Although is it owned by the Welsh Government, the management of the forest is carried out by Natural Resources Wales (NRW) who do so as a commercial enterprise. They certainly have a challenge on their hands! 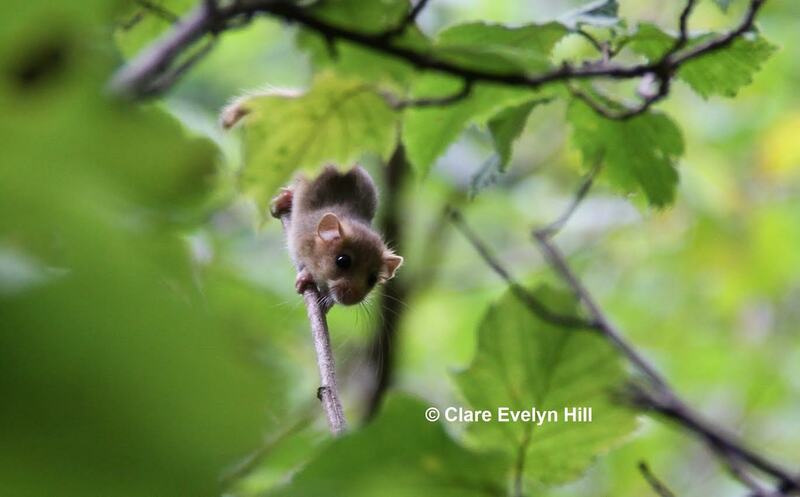 Clocaenog Forest is also home to a wealth of wildlife including European Protected Species (EPS) such as hazel dormouse (Muscardinus avellanarius) and several species of bat. Not an EPS but just as high a priority for forest management, Clocaenog Forest is home to a population of red squirrels. Their protection under the Wildlife and Countryside Act 1981 makes it an offence to intentionally kill or injure a red squirrel or intentionally or recklessly damage or destroy any structure or place a red squirrel uses for shelter or protection, or disturb a red squirrel while it occupies such a place. Therefore NRW take great care over the Forest Management Plan (FMP) which dictates when and where trees can be felled without causing detriment to any of the protected species that occur there. Undeterred, NRW created the FMP to ensure a constant supply of food, cover and resources via a mosaic of different tree species and ages. This provides suitable habitat for the small population of red squirrels whilst still making the forest economically viable. Occurrences of broadleaved trees such as oak and beech have been reduced in order to remove a food source that is preferred by grey squirrels. A study in 1996, a good mast year, showed grey squirrels significantly using the beech mast resource. Clocaenog Forest is one of three strongholds for red squirrels in Wales. The others being in mid-Wales where the Wildlife Trust of South and West Wales are working with local volunteers to increase the population and of course Anglesey. In the 1990’s red squirrels were widespread in Clocaenog Forest and were considered to be Wales’ largest population until the success on Anglesey. This upland forest sits between 300 and 500m above sea level and is surrounded by moorland and farmland to the north and west making it somewhat of an island. This is thought to be the saving factor of the red squirrel as the geography has acted as a partial barrier to the incursion of grey squirrels. The extent of Sitka spruce makes the forest less attractive to grey squirrels as the small seed size means it is harder for them to get enough energy from the seeds. Red Squirrels, being more arboreal than the American invaders, are therefore better equipped to forage on these smaller seeds together with areas of pine and Norway spruce. Getting the balance right is crucial to safeguarding this population. The reds of Clocaenog Forest have been much studied. Dr Sarah Cartmel carried out research into the ecology of both species in the late 90’s and this has been used to improve the management of the forest to support red squirrels. Unfortunately, woodland management on its own is not enough to safeguard red squirrel populations. Grey squirrels continue to access the forest, competing with the red squirrels for food and potentially spreading disease. NRW (and Forestry Commission Wales before it) have been undertaking grey squirrel control throughout the forest for a number of years. Despite all this, population estimates and sightings information suggested that the population has declined significantly in recent years. 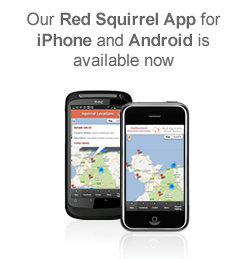 However, red squirrels in upland areas are notoriously difficult to survey so it has been difficult to be sure. 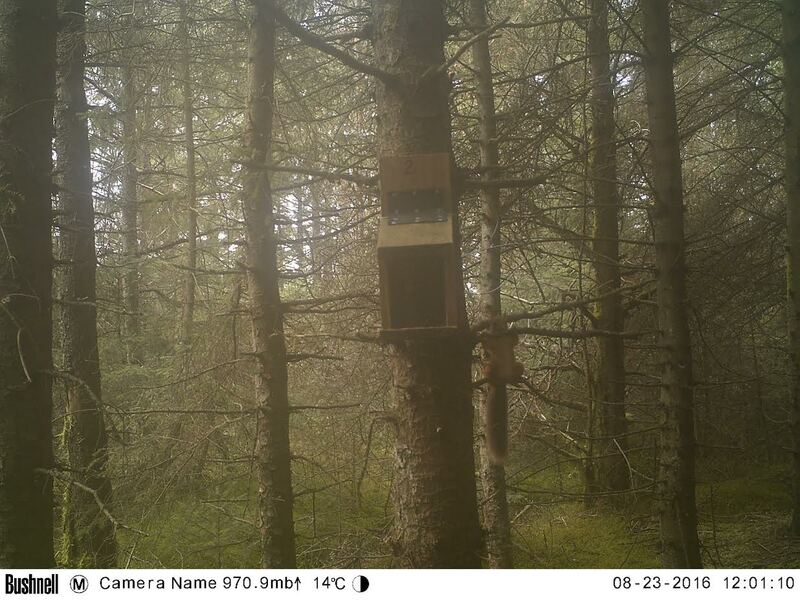 But in 2014, the Mammals in a Sustainable Environments project set up monitoring using trail cameras and feeder boxes for the first time. 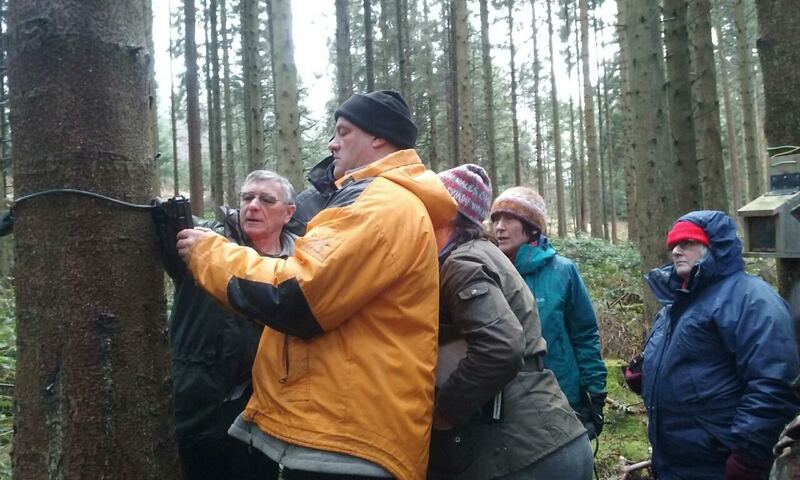 The volunteers running the cameras were very excited to discover images of red squirrels within a month. 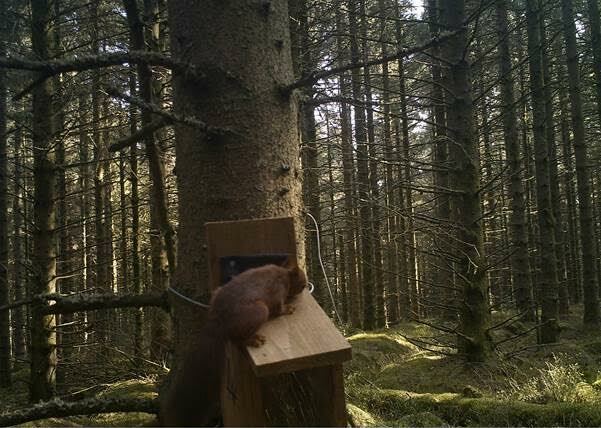 Buoyed by this, the Red Squirrels United project, a 3-year HLF funded project in Wales, England and Northern Ireland, is now working to turn the fate of Clocaenog’s red squirrels around. 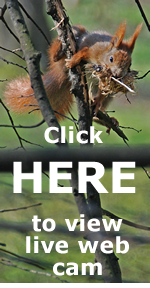 The Red Squirrel Ranger will enlist the help of local communities who will be trained in how to monitor red squirrels but most importantly how to control the grey squirrels and stop their march on the forest. School sessions for Key Stage 2 age, illustrated presentations and stalls at shows and events will also ensure that word gets out that we mean business and are determined to halt the decline of red squirrels in Clocaenog Forest. A local friends of red squirrels group will be encouraged – the first meeting realised that people are certainly passionate about their local reds with lots of ideas on their conservation. We shall have a base at Bod Petryal, in the south of the forest, where our supplies of bait can be stored. 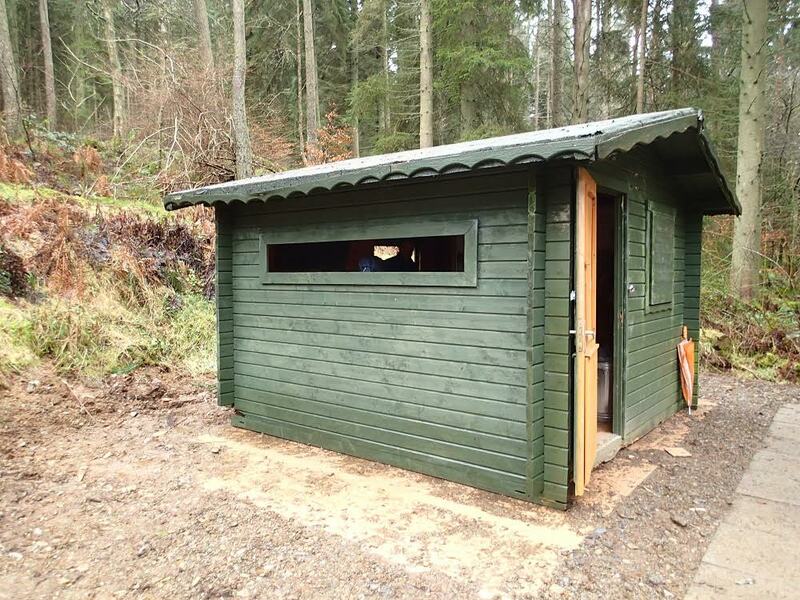 If our aim is realised and the population of red squirrels starts to increase, perhaps we will be using the base as a red squirrel hide! As the project progresses, this page will be updated so do ensure you visit often!